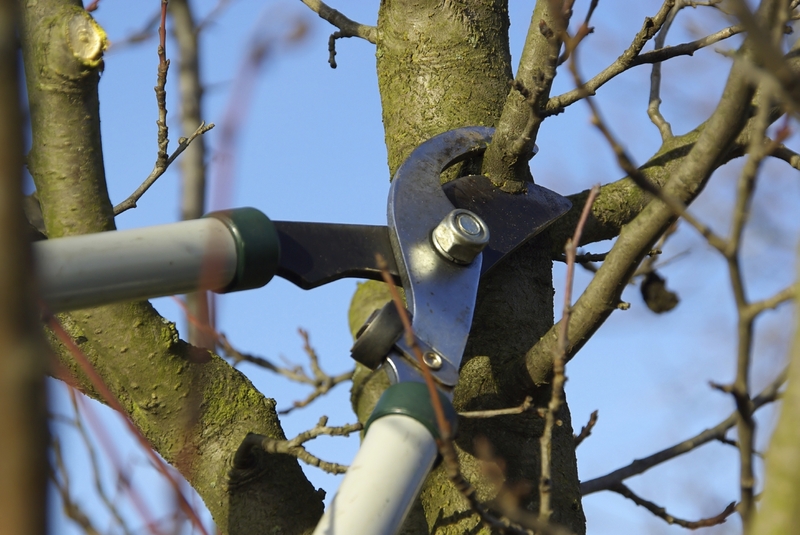 Proper pruning is essential in developing a tree with a strong structure and desirable form. Trees that receive the appropriate pruning measures while they are young will require less corrective pruning as they mature. A good structure of primary branches should be established while the tree is young. These limbs, called scaffold branches, are a mature tree’s framework. Properly trained young trees will develop a strong structure that requires less corrective pruning as they mature. For most young trees, maintain a single dominant leader growing upward. Do not prune back the tip of this leader or allow secondary branches to outgrow the main leader.